Hollywood Forever is a cemetery unlike any other in the world. A historic site adjacent to Paramount Studios, it is the final resting place for more of Hollywood’s founders and stars than anywhere else on earth. It has also become more than a cemetery — with activation via film screenings, concerts, and events like the Dia de los Muertos festival, Hollywood Forever now an iconic public gathering place that helps fill the need for open space in LA. On Saturday, August 15, APA Los Angeles will pay a special visit to Hollywood Forever for a Cinespia film screening that will let you experience the cemetery’s magic all night long! Skip the lines and enter early for a special historical and facilities tour from Hollywood Forever staff, plus a discussion of the cemetery’s activation with Cinespia founders. Afterward, we’ll wait for the screening to start while picnicking in our own reserved area. At 9, the screenings of your favorite sleepover films begin: “Can’t Hardly Wait” at 9, “Scream” at midnight and “Cruel Intentions” late night. There will be DJs, a photobooth, free coffee from Intelligentsia, free snacks from Kind and more. Bring chairs, blankets, pillows, picnic food and beverages of your choice! 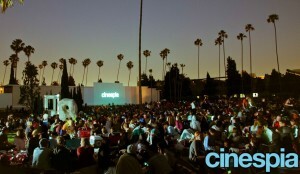 Check out Cinespia.org for additional information about the screening.